guatemalan embroidered patches. The interior is lined with a water repellant canvas. There is a leather wrist strap and a sunken zipper top closure. 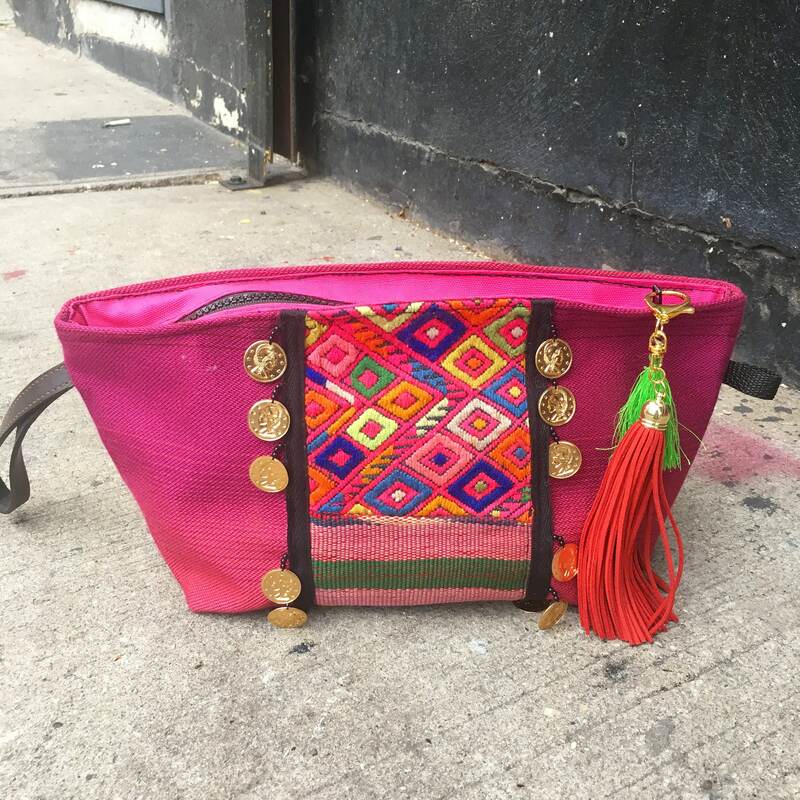 This bag is great to use as a hand clutch and can also be a great make up bag, or accessory case.